friendly environment to stay in. The owners are always there to help, but they are never obtrusive. 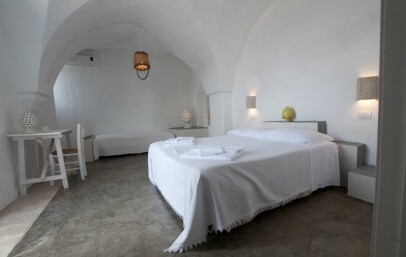 With its simple and minimal furniture, the Masseria is the right place for an essential experience. Great for young couples and for people who are seeking simple things. 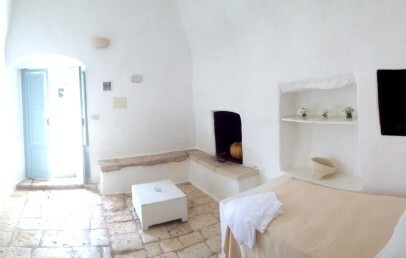 Masseria Mozzone is an ancient Masseria which dates back to 1700, surrounded by the famous Trulli and with an area of over 90 hectares of land and olive grove. 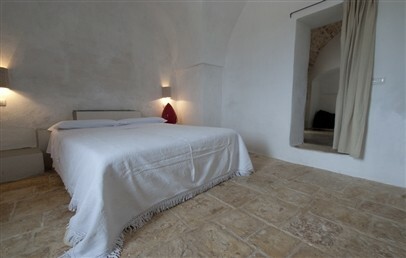 The Masseria Mozzone is located on the country side of Montalbano di Fasano at the foot of Valle d'Itria, with a splendid view of Ostuni and Fasano seashore. 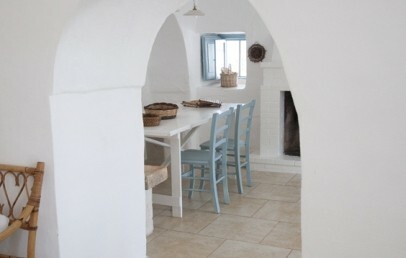 The ancient Masseria Mozzone has been renovated taking care of every detail, keeping the original structural shapes and using typical materials, such as stone and white wood. 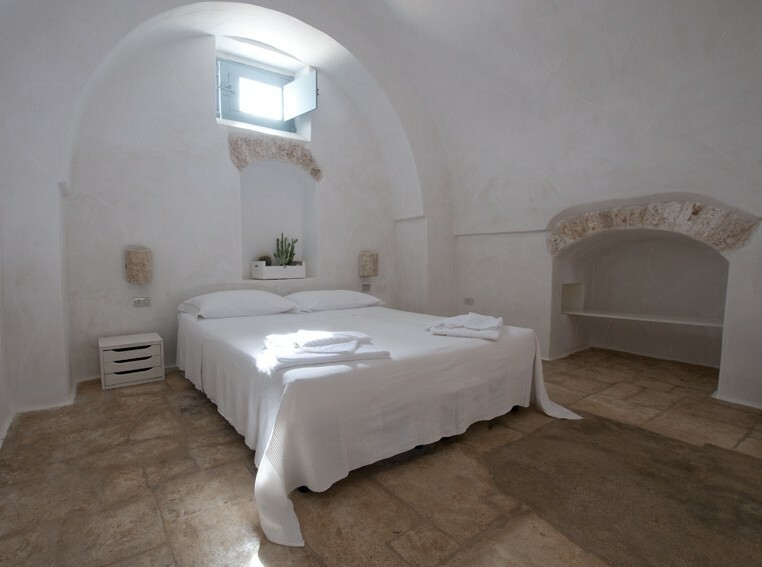 The rooms and Trulli (typical Apulia construction) of the Masseria Mozzone are decorated and furbished in a simple minimalist style, with bright spaces characterized by white colour in a familiar and discern setting. 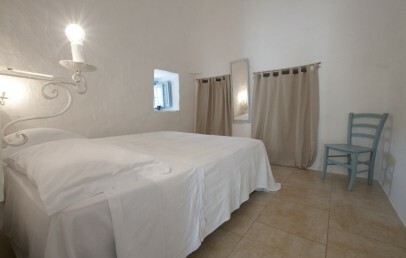 The Masseria Mozzone offers double or triple rooms, all with private facilities and bed&breakfast treatment, as well as apartments equipped with a kitchenette, with all necessary dishes and tools; it also includes a living room, fireplace and bathroom. Linen will be changed weekly while towels every 3 days. On the manor of the Masseria Mozzone guests can find large spaces close to nature to rest and be surrounded by citrus plantation as well have the possibility to lie and chill on a comfortable hammock and quietly listen to the sounds of nature, or you can do a relaxing walk among the millenary olive trees or enjoy the terrace with beautiful sea view. 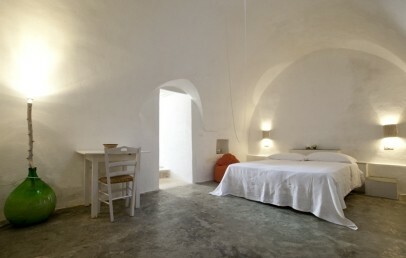 The Trulli for two persons are composed of one bedroom, a living room and a small kitchen; they dispose of air conditioning a/o ceiling van. They are all decorated in a minimalist style in total white and have a bathroom with shower, hairdryer and complimentary toiletries. The view goes out on the terrace on the ground floor. 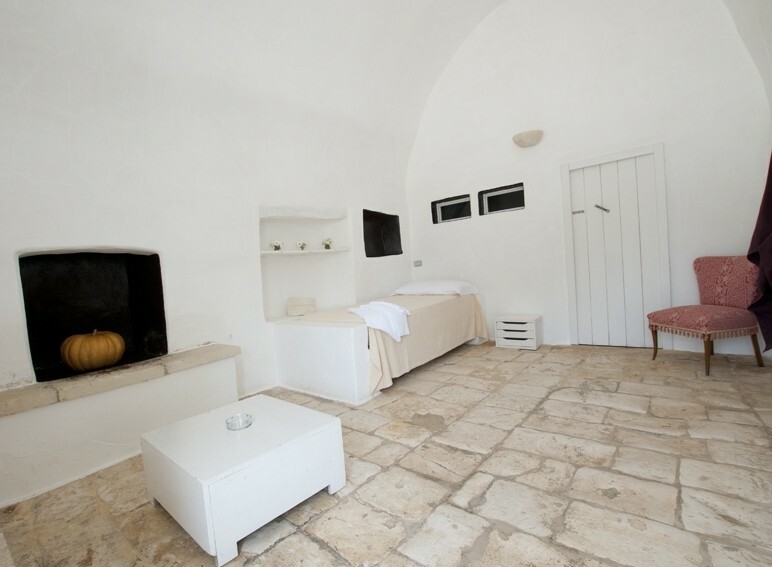 The Trulli for five persons are composed of three bedrooms, a living room and a small kitchen; they dispose of air conditioning a/o ceiling van. They are all decorated in a minimalist style in total white and have a bathroom with shower, hairdryer and complimentary toiletries. The view goes out on the terrace on the ground floor. 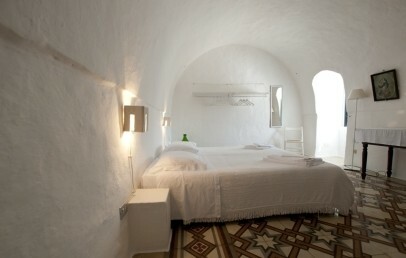 Decorated in a minimalist style in total white, they are composed of a double room and a single room. They have air conditioning a/o ceiling van, a bathroom with shower, hair dryer and complimentary toiletries. The rooms no. 1 and 4 offer a sea view and the room no. 8 offers a lovely view on the terrace located on the ground floor. Decorated in a minimalist style in total white. 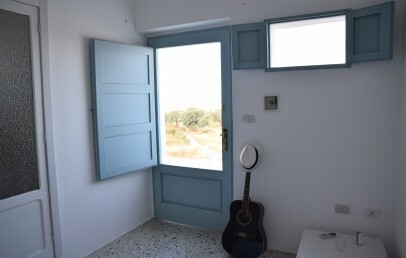 The rooms are spacious and have the possibility to accommodate up to three persons, as they offer an additional single bed; they dispose of air conditioning a/o ceiling van. 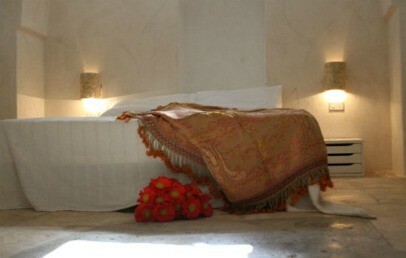 All rooms have a bathroom with shower, hair dryer and complimentary toiletries. The view goes on the sea. Decorated in a minimalist style in total white. The rooms offer a bathroom with shower, hair dryer and complimentary toiletries; they dispose of air conditioning a/o ceiling van. The room no. 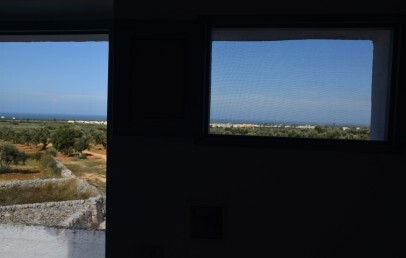 9 (1st floor) offers sea view in the background and the room no. 13 (ground floor) has a skylight. Decorated in a minimalist style in total white. 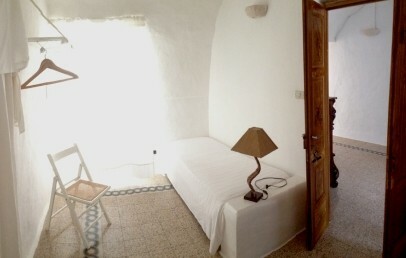 The rooms are spacious and some of them have the possibility to accommodate up to three persons, as room no. 5 and 10 have an additional single bed. 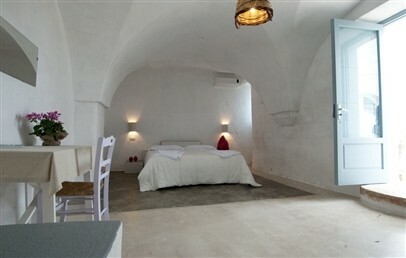 All rooms dispose of air conditioning a/o ceiling van, a bathroom with shower, hair dryer and complimentary toiletries. The view goes on the sea. Decorated in a minimalist style in total white. 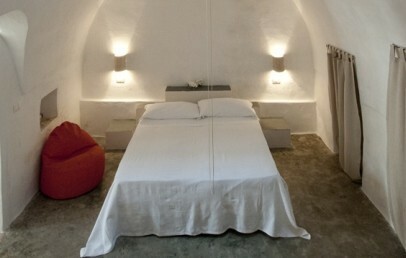 They are composed of a double room and a single room and features air conditioning a/o ceiling van. They have a bathroom with shower, hair dryer and complimentary toiletries. The rooms no. 1 and 4 offer a sea view and the room no. 8 offers a lovely view on the terrace located on the ground floor. 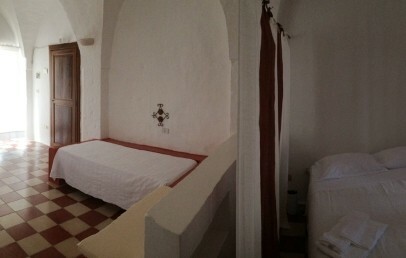 Double room as single use. Decorated in a minimalist style in total white. 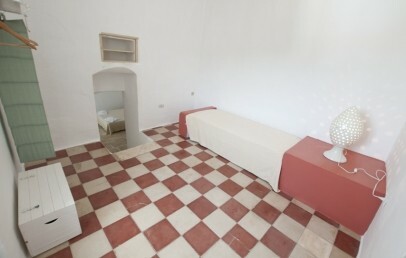 The rooms offer a bathroom with shower, hair dryer and complimentary toiletries.